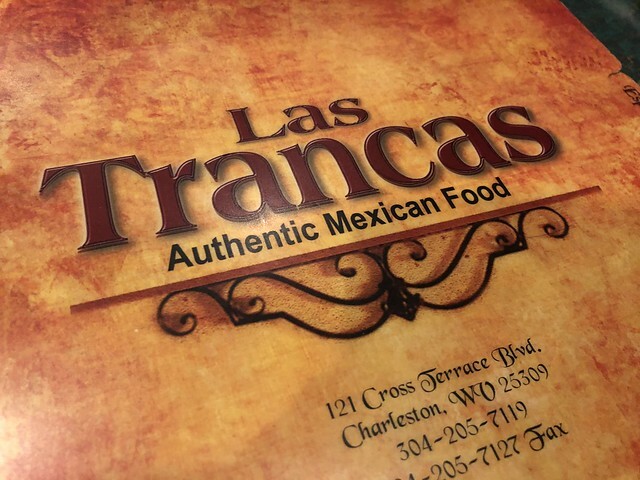 I'm slowly making my way through the Mexican restaurants in Charleston, and Las Trancas was next on the list. 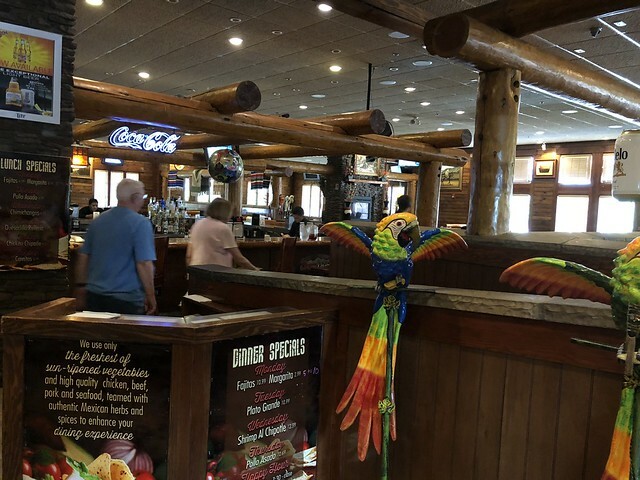 This Mexican restaurant, located on Corridor G, is a bit newer and more modern than some others in the area. 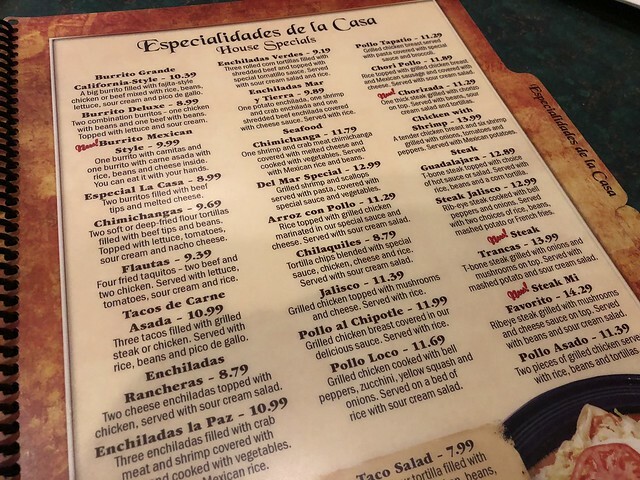 The menu has the standard options, and I always try to find something that is essentially a burrito covered in queso because mmm. 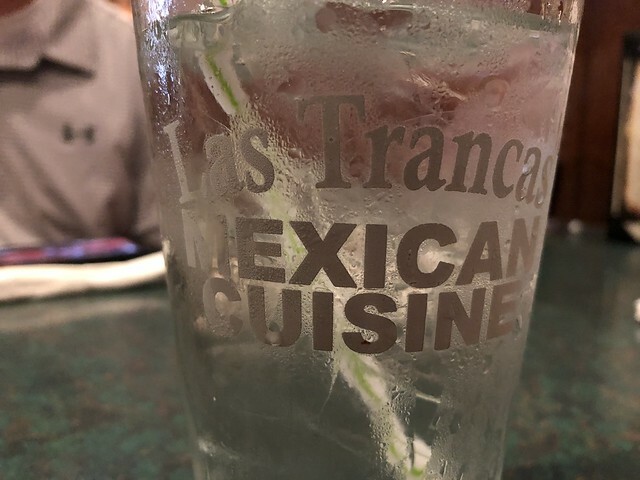 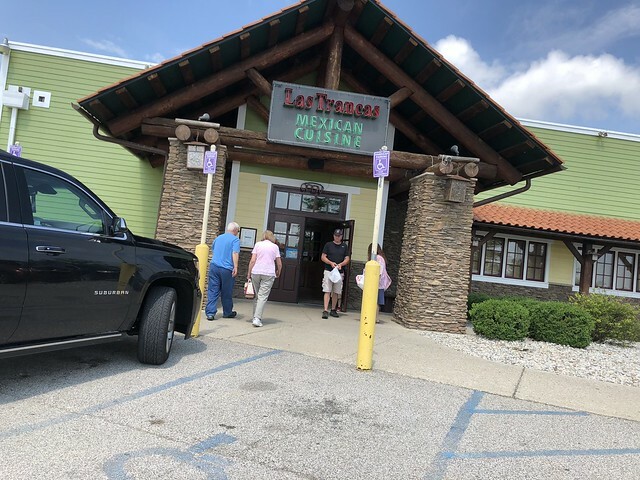 Las Trancas, I believe, has a few other restaurants in the state. 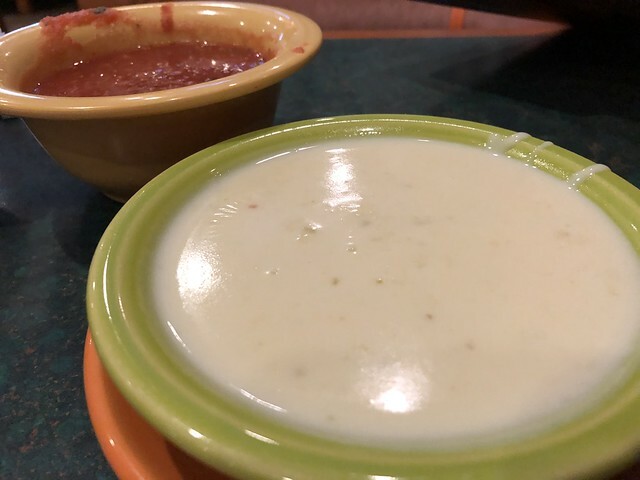 I swear, I could just live on the queso. 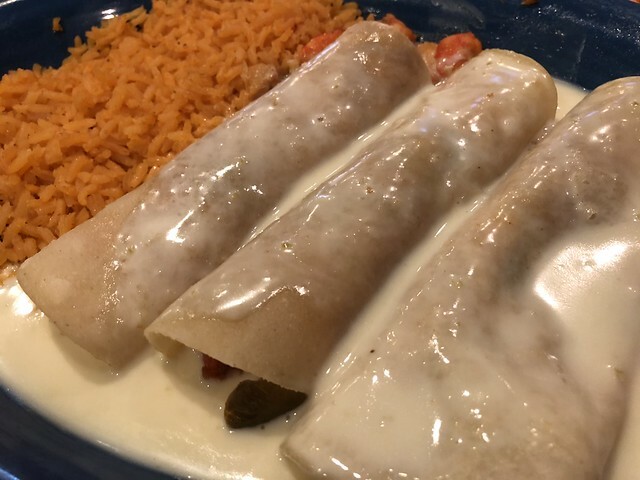 Enchiladas Mar y Tierra - one potato, shrimp & crab, and shredded beef enchilada covered in cheese sauce!